Ultraframe Marketing Manager Mark Hanson looks at what’s happening in ‘consumer land’ and how it uses insight gained from consumers to shape the company’s direction. The latter half of 2008 and most of 2009 were tough for the conservatory industry ….but 2010, after a slow start due to the weather, so far seems to be brighter (at the time of writing this piece, the new coalition government was only a month old and so it is naturally difficult to forecast how the stock market and currency traders will be reacting and how this is influencing that key market driver, consumer confidence). Ultraframe’s volume for the last six months is running neck and neck with the same period of last year. With the market for new conservatories having shrunk to what is expected to be around 100,000 units this year, its ironic that these tough market conditions are driving some spectacular changes within the industry, at consumer level and here at Ultraframe. At the government level, our industry is going to comply with new tighter Building Regulations on the thermal performance of windows but at conservatory level – despite some expected changes – the department for Communities and Local Government has left us alone ( for now). At the company level, Ultraframe is continuing to invest in new products and service propositions. 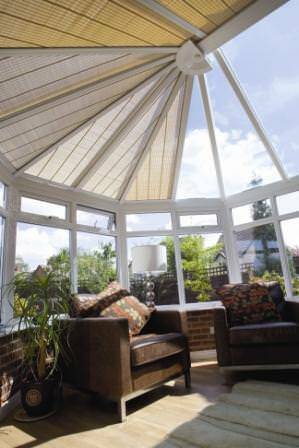 As the conservatory roofing company with the strongest brand and reputation, there is an expectation from its users that there is always something new around the corner and in that respect Ultraframe is delivering. The latest generation Classic roof was launched at the beginning of the year along with a brand new proposition which is the provision of new fabric covered frameworks integrated into the roof – we call this product Shades. Game changers like Classic Plus and Shades are always going to take time to gain ‘traction’ but already there are retailers who are using these products every time in their pitch to consumers. Those retailers who have taken to these new ideas – early adopters if you like – are not afraid to talk about the elephant in the room – namely privacy, potential overheating and glare issues. And, of course, they have the perfect solution in Classic Plus and Shades. The products we have launched most recently are in response to the conservatory market reaching maturity. Analysis of consumer registrations at its consumer call centre, show that whilst 53% are first time buyers, a whopping 47% are second and third time buyers. These buyers typically have more to spend, are looking at ‘crossover’ products like Orangeries or the soon to be launched Veranda and they tend to demand more complex conservatory shapes that have all the bells and whistles….often these decisions are fuelled by ‘mistakes’ made when they were naive first time buyers. As retailers are responding to consumers demands for ‘something different’, Ultraframe introduced its Cornice, an aluminium powder coated shroud that adds interest to the gutter/bar end locations. Given that it takes time for new products to be grasped by retailer’s sales teams, we are now seeing encouraging sales of this innovative product. Furthermore, this is the first leg of a journey to have a complete aluminium external suite of products for the Classic roof. Coloured foil conservatories is another trend that Ultraframe was instrumental in influencing. Products introduced by Ultraframe sometimes have an immediate appeal on their own but often are designed to give assistance to other products on the conservatory – the example here is the Super Duty Eaves Beam which allows conservatory designers more freedom to give the consumer exactly what they are looking for, namely opening up the sides of the whole conservatory to blur the garden/home interface. 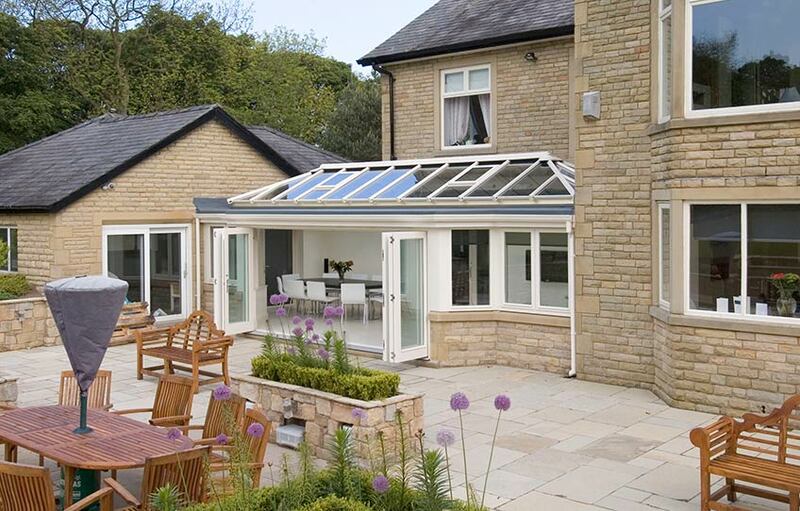 Ultraframe is tuned into the needs of consumers in general and conservatory buyers in particular. An interesting question is – how has (if at all) the behaviour of consumers changed during the recession? As mentioned earlier, thousands of consumers have sent back their registration forms found with their roof and have shared with us lots of critical data to give us a rare insight into their buying patterns. If we analyse data from the first quarter of 2008 and compare it to the same period of 2010, we see that in 08 43% of respondents only obtained one quote and that has come down to 31%......so consumers are asking for more quotes than before ( with those obtaining three or more quotes up from 7% to 16%). Furthermore, those thinking about a conservatory for a period of 12 months or more before buying went up from 31% to 38% ( also interestingly, those thinking about it for less than a month halved from 19% to 9% in the same period). So retailers need to amend their sales tactics accordingly as more consumers are thinking about it for longer and getting more quotes. 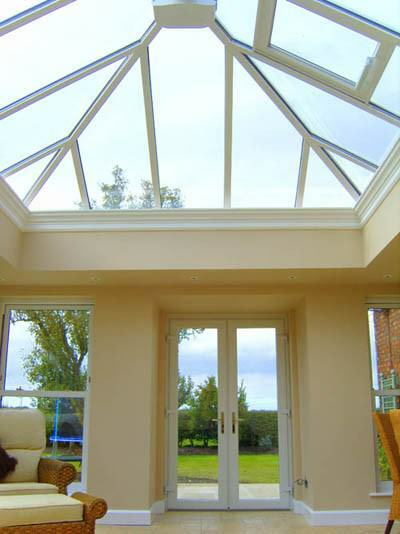 One prominent trend that is emerging is that of conservatory refurbishment and upgrading. Ultraframe knows the percentage of its roofs that are being used in this way and it is surprisingly high (this is commercially sensitive information which we are happy to discuss with individual retailers)……..inevitably in the months ahead, we will be looking to introduce new products to tackle this market. There are three million existing conservatories, many of them now quite old – the technology embedded in a conservatory 15 years ago is a far cry from what we can deliver today. After the recession and once people start moving home again, more and more consumers will inherit a conservatory, with many wanting to upgrade it. Ultraframe deals with this opportunity by steering consumers to independent vetted members of its Ultra Installer scheme who can then tackle this opportunity professionally.